Children aged 0-6 must be properly restrained by an approved child restraint and must not travel in the car if you can’t put them in an approved child restraint. Children aged 7 must use a child restraint if available. If there’s no child restraint then they must use a safety belt, if available, and if there’s no safety belt, they must be in the back seat. Children aged 8-14 must use a safety belt if available. If not, they must be in the back seat. People aged 15 and over must wear a safety belt if available. 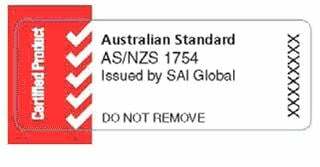 If you want to import a seat from America it must not only comply with the United States Standard FMVSS 213, but it must also show the New Zealand Standard ‘S’ mark indicating it is certified for use here. The approved restraint must be of the correct height and weight for the child (as specified on the seat). It can be a harnessed child restraint, full-backed booster seat, or half booster cushion (with sufficient head support). Rear-facing child seats should never be put in a front seat unless the airbag is disabled as the force from the airbag will hit the seat causing serious injuries and perhaps death. The general guideline is that children 12 and under are safest in the back seat, although this doesn’t take into account height and weight (i.e. a 12-year-old could be taller than a fully grown adult). The back seat is the safest place for any passenger, regardless of age. As your child grows you will need to change your child seat to one of an appropriate size. the child is able to sit upright against the back of the seat with their knees comfortably bent over the edge of the seat cushion. the diagonal part of the safety belt crosses the child’s shoulder and breastbone, not the neck. the lap part of the safety belt crosses low down on the child’s lap, touching their thighs, and is not up around their stomach. Safety belts are designed to hold 1 person. It is dangerous to travel with one safety belt around two or more passengers. Never put a child on an adult’s lap with the belt around both of them. In the United States, restraints that comply with the standard are called LATCH (Lower Anchors and Tethers for Children). In Europe, the equivalent attachment is called ISOFIX. Both systems have lower anchors in the vehicle and lower attachments on child restraints. This method of installation allows a child restraint to be snapped into place instead of being held by the safety belt. goods service vehicle (e.g. 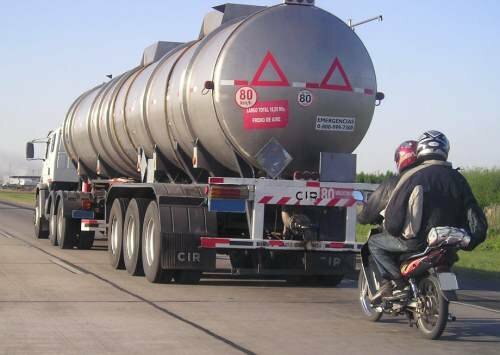 truck, van or ute) with an unladen over 2000kg that does not have safety belts fitted. Where a seat belt is available in any of these vehicles the child must be restrained. If an approved child restraint if available that is appropriate for the child’s age and weight, it must be used. Taxi companies and vehicle hire companies can provide child seats if given enough notice. You will need to specify what sort you need and what age your child is. Drivers of passenger service vehicles are not legally responsible for ensuring seat belts are fitted; the parent or guardian in charge of the child must make sure they are used. Only put forward facing children in the front seat when the back seats are all occupied by younger, restrained children. Move the front seat back as far as possible and make sure the child is properly secured. This question in the Road Code theory test outlines the driver’s responsibility when carrying children. Baby supplies shops, department stores, larger toy shops and some online stores sell child restraints – be sure to double-check that it meets your requirements if you are purchasing online as it is generally best to try a child seat in your car before you purchase it. Only seats which meet the minimum standard are allowed to be sold and used in New Zealand. You can rent a car seat from Plunket and, depending on your situation, Work and Income NZ can provide financial support. If your child is under 148cm it’s advised to seat them in an appropriate child restraint, even if they are over 7 years old. Rear-facing child seats provide more protection because the head is supported in the event of a crash. 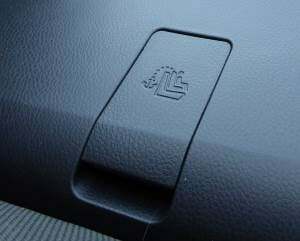 However, they cannot be used in the front seat if you cannot switch off your airbag. It’s recommended that you carry children under 2 years old in rear-facing seats. If the vehicle manufacturer’s instructions state a child restraint can be safely installed in the front passenger seat, it is recommended you move the seat back as far as it can go, which gives more of a crumple zone to protect the child if you are in an accident, and moves the child closer to the B pillar which will provide more protection than the door. 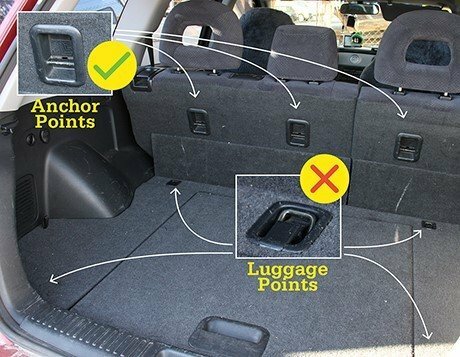 It’s best to try the restraint in your vehicle before you purchase it to check that it fits your vehicle and your child. If you do want to purchase sight-unseen it’s best to have some means of returning or replacing it if it is not suitable. Seats will have instructions either on them or in a supplied manual. Follow the instructions in there and also your own vehicle’s manual. 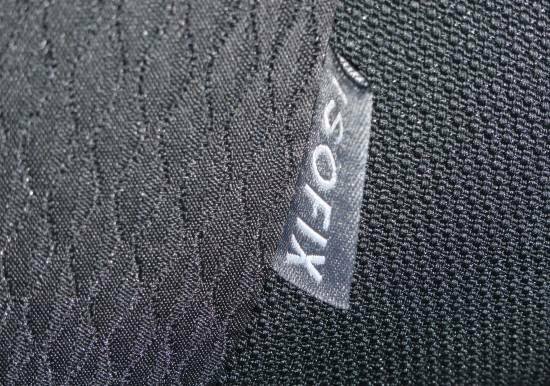 If your vehicle is newer then it will most likely have ISOFIX or LATCH points built in. Children should always be seated in the rear seat of a vehicle, as it is safer. This is true regardless of the child’s age, size or type of child restraint used. 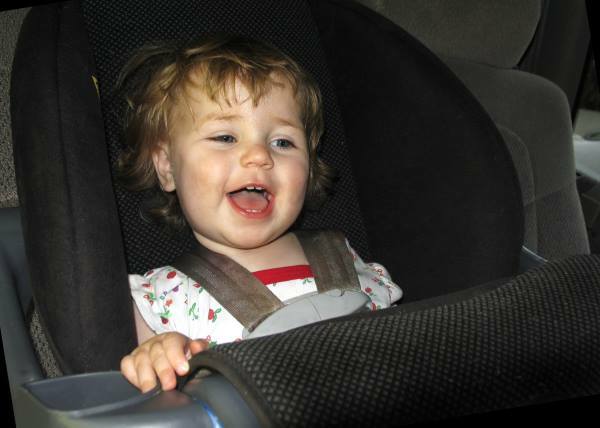 Different types of child restraints require different types of car safety belts to hold them securely. Most child restraints require a three-point safety belt and tether strap. Some child restraints for babies and younger children can be secured using a lap belt in the back middle seat. Harnesses require a lap belt and tether strap, while other child restraints use the three-point safety belt with or without a tether strap. Booster seats must be used in conjunction with a three-point safety belt or in combination with a separate child safety harness. 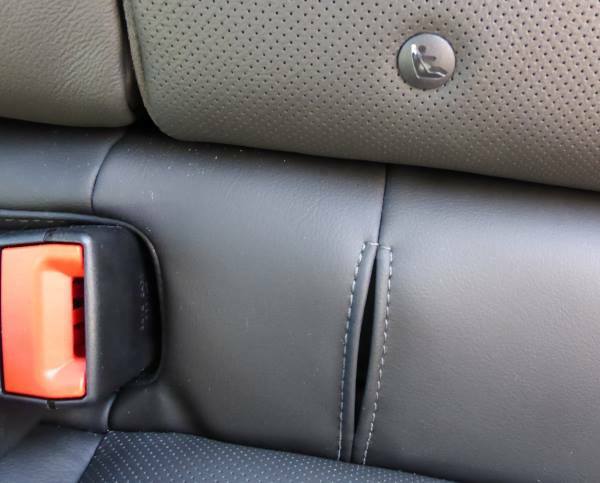 When using a booster seat check the diagonal part of the safety belt (the sash) is away from the child’s neck and crosses the child’s shoulder and chest bone. You may need to adjust the vehicle seat until it fits correctly. Can you transport children under 7 years old without an approved child restraint? The short answer is no. If you need to get seats or safety belts fitted, find an authorised child restraint installer here. A tether strap is a top strap that connects to an anchor point in the car. These anchor points will be either on the rear parcel tray, on the rear of the seats, or on the floor behind the rear seats. Install an anchor point. You can buy one from most places that sell child restraints and baby supplies. A competent car mechanic or main dealer for your car’s make should be able to install the anchor point for you so it is safely secured into the correct place on your vehicle. Find and use a model of child restraint that is designed to work without being secured by an upper tether strap. These types of seats mostly rely on rear seat 3-point safety belts to hold them. Who is responsible for making a passenger over 15 years old and over put on their safety belt? Adult passenger seats should not be laid back too far otherwise there’s a risk that the passenger will ‘submarine’ or slip under the seat belt, rather than the seat belt holding them in place in a crash. Laying the seat back also reduces the effectiveness of the air bag which is designed to inflate at the right speed to meet the torso and face of an adult passenger at the right time in a crash.